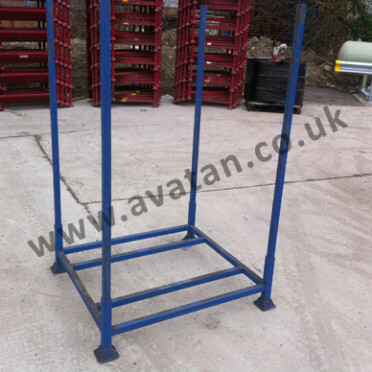 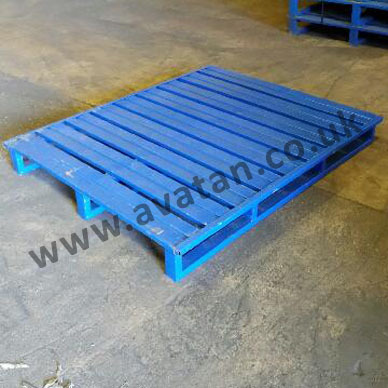 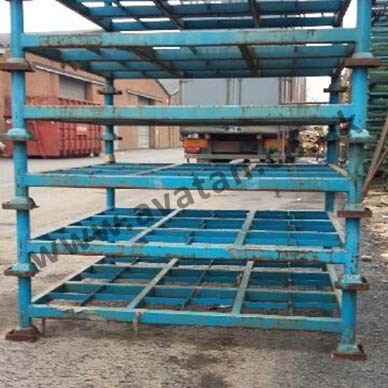 Flat steel pallet in good fully serviceable used condition. 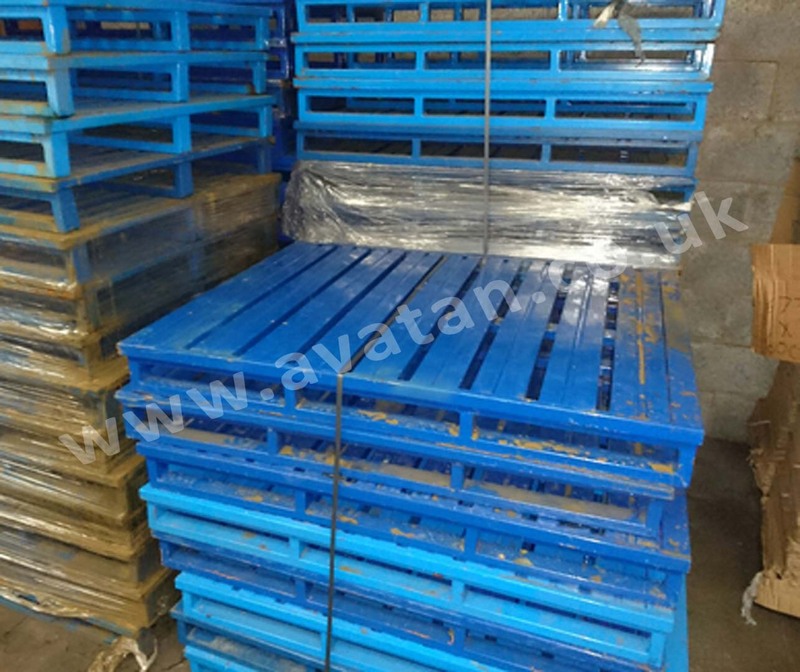 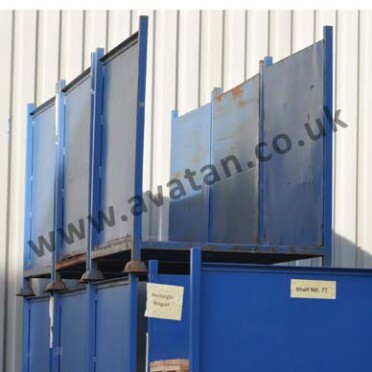 Four way entry metal pallet having corrugated sheet steel slatted deck. 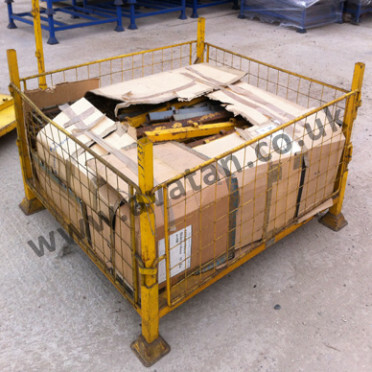 Skids running 1200mm with free entry on 1000mm sides.